This is our most anticipated item of footwear of the last 12 months. After many delays, they arrived with us this week, and we have to say that we like them a lot. Now if you want to read our review of them, click here, but if you don’t have time for that let me give you a brief overview. In our opinion these boots sit somewhere in between a proper, short motorcycle boot and the trainer-style biking boots that have become popular in the last couple of years. They’re more comfortable than the former, and more protective than the latter. 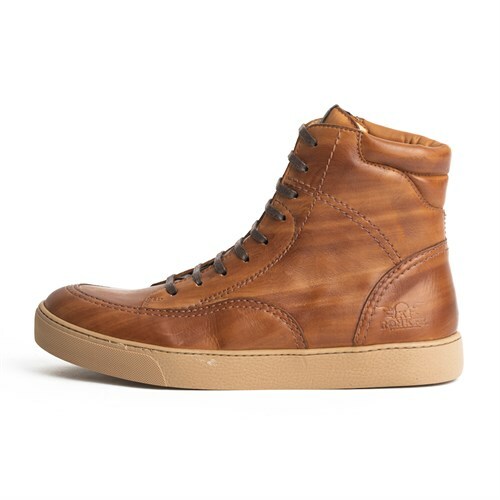 Rokker, of course, has done its normal brilliant job, creating a good-looking boot that wreaks of quality, and that is comfortable to wear. Now I would never normally wear the same leather shoe or boot two days on the trot, but to get to know the City Sneakers I’ve been wearing them every day for the last two weeks. I love them. With their padded, calf-lined inners they are as comfortable to wear as anything I’ve ever had on my feet. I’ve ridden in them, and they’re perfectly up to the job, with a small hardened toe puff, a heel protector and shank in the sole. They are, I have to admit, expensive, and up against Rokker’s Urban Racers they seem over-priced, but apparently the super-soft leather is hugely expensive, and they’re just as expensive to construct as their hardier cousin. 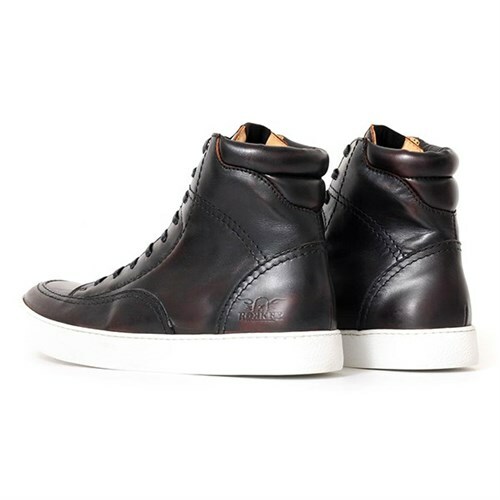 The City Sneaker is most certainly a superior kind of motorcycle sneaker. If you can afford them, they’re lovely, but Helstons’ Baskets look very similar and costs half as much. In the margin, though, the Rokker is almost certainly more comfortable and better made. At this time of the year, and particularly so this year, everybody wants to ride in a mesh jacket of some description. Not difficult, really, to understand why. 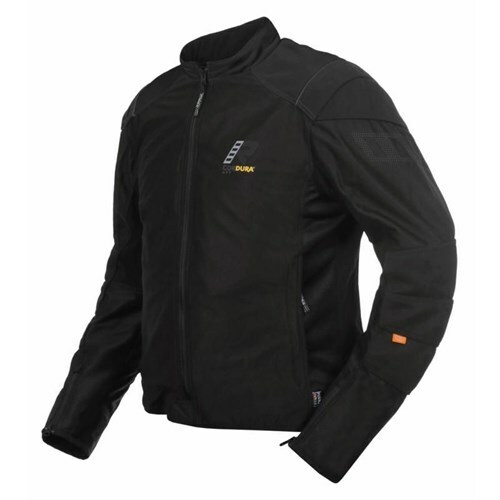 We do lots of mesh jackets from the likes of Furygan, Helstons and Halvarssons. And they’re not expensive, with some starting at just over the £100 mark. But most have one in this common, they’re not amazingly strong. They may have armour, and the ‘chassis’ of the jacket is normally made from a reasonably abrasion-resistant material, but in nearly all cases the mesh itself has very little strength. Which means that if you were to put it under stress in an accident, it would probably just tear apart. Rukka’s Forsair is different. It’s made from AFT Cordura. 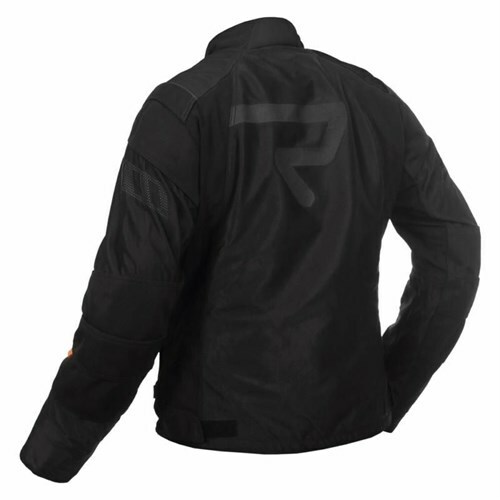 AFT Cordura flows the air nearly twice as well as a standard Cordura, yet it is just as strong. But importantly, the whole jacket flows air, so it’s much cooler to wear than a normal mesh jacket. It’s been sold out in most of the key sizes for a month or so, but we’ve had re-supplies flown in from Germany this week, and so it’s available again in all sizes. If you want to read about the Forsair, click here. If you just want to buy one, click below. At £399, it’s quite a bit more expensive than most mesh jackets. But you’ll have to decide if the extra couple of hundred quid cost is worthwhile. 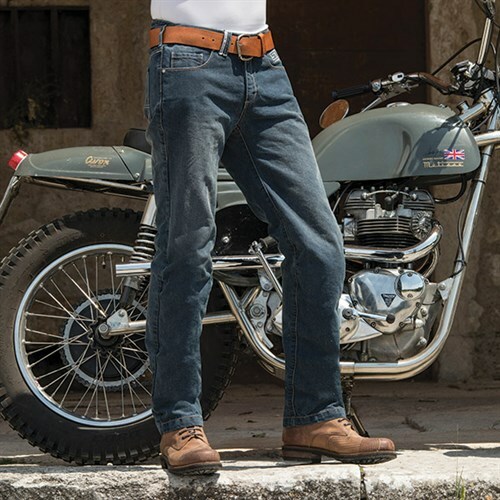 You’ll probably know that here at Motolegends we’re the poster boys for single-layer jeans. In the kind of weather we’ve been having recently there’s nothing nicer to ride in. We’re particular devotees of Rokker’s jeans, which combine great looks with ‘slide’ times that are way beyond leather. 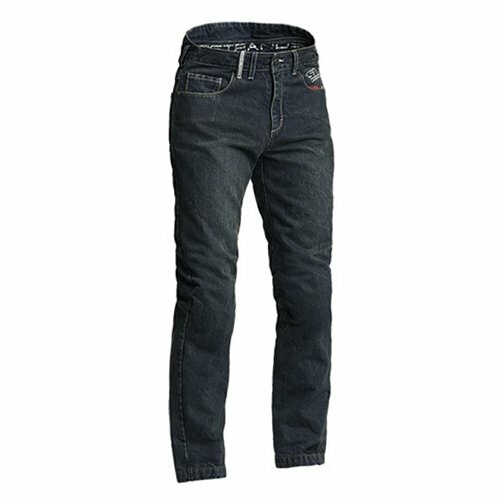 There are two styles of Rokkertech jean. There’s the slim fit that comes in a washed finish, and the straight leg that comes in a raw denim. The choice is obviously a personal one, although if you wear a taller, Daytona-style boot, you’ll need the straight leg because the slim fit is too narrow in the leg to go over a big boot. But until now, the raw jean didn’t come in a 30” leg length, and on these jeans the leg length is important because the positioning of the armour is dictated by leg length. So if you’re a bit challenged in the height department you’ll want the 30” leg, as it’s the only way to get the armour where it should be. There has always been a 30” in the slim version, but as of this week we have it in the raw version too. As ever, come and see us for a full fitting and free alterations. 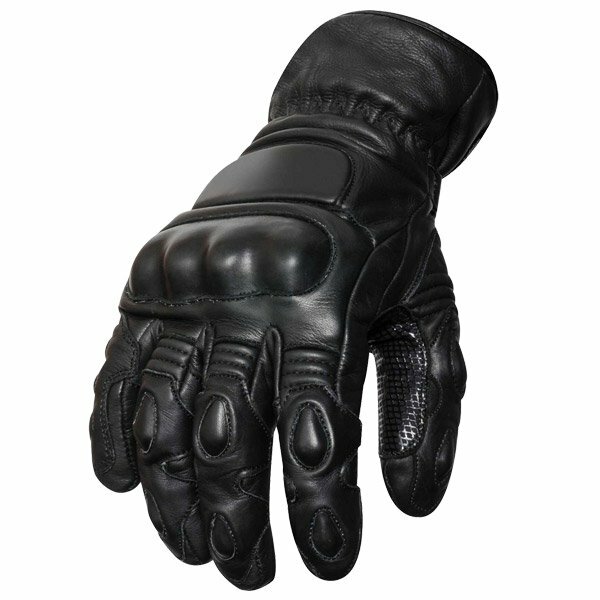 It’s taken us an age to negotiate the rights to be able to offer our customers these gloves that are, in normal circumstances, only made available to the Procurement Departments of UK Police forces. 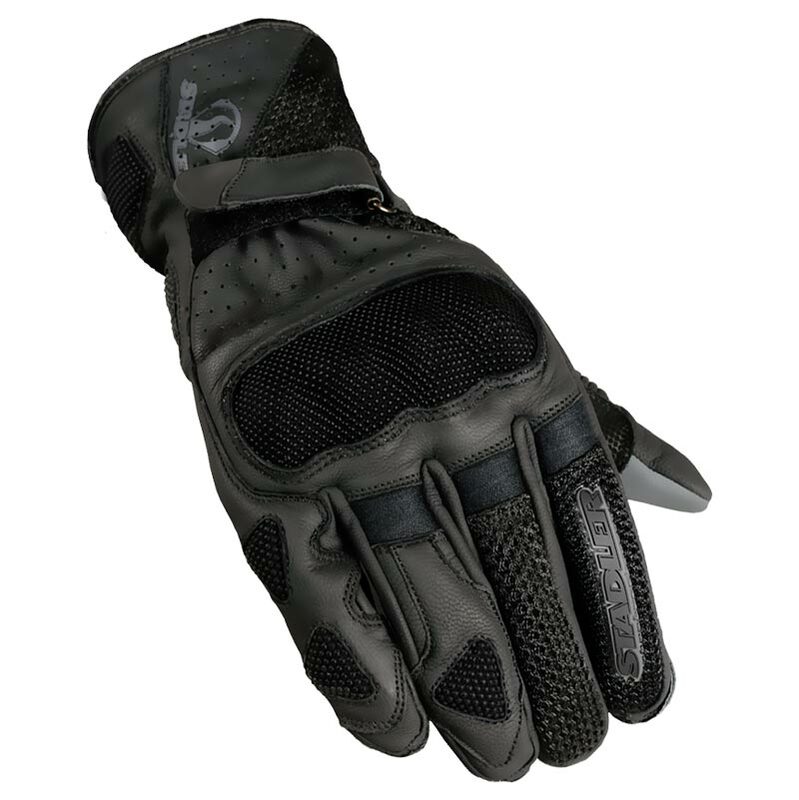 On the website we have a review of these gloves, which you can read by clicking here, but let me give you the abridged description. There’s a summer model that has no waterproof membrane and an Outlast liner to keep you cool. And there’s a more wintery version with a waterproof membrane and a fleecy interior, although personally we wouldn’t consider it to be a proper winter glove. But what we do believe is that these are the best-made, most protective, road gloves we’ve ever seen. We know the man who designed them. He’s a stickler, and the intricacy and detail involved in putting these gloves together almost beggars belief. They’re also supremely comfortable, given the amount of protection they offer. We got our first shipment in this week, so if you want to come in and try a pair on, feel free to do so. We think you’ll be impressed, and if you’re the kind of rider that wants the last word in safety, we can’t think of a glove that can hold a candle to them. They’re not cheap, but given what they offer we don’t think they’re expensive either. The summer gloves cost £129.99, the waterproof version is £149.99. If these were made by somebody like Rukka, we think we’d be talking somewhere between £250 and £300 for the waterproof version. Kevlar, or rather aramid, lined jeans are on their way out. In a couple of years’ time, nobody will be offering them. They’re too heavy, too bulky and too hot. Single-layer is the future. At present, we have offerings from Rokker, Spidi and Halvarssons, and in a week or so’s time, Resurgence too we hope. Halvarssons’ Macan jean represents their first foray into the market, and in some ways it’s exactly what we would have expected from the Swedish purveyor of all things dependable and reliable. We don’t have an official ‘slide’ time, but from a series of logical deductions and assertions we can fairly confidently predict that they will deliver a time in the region of four seconds; so about the same as leather. 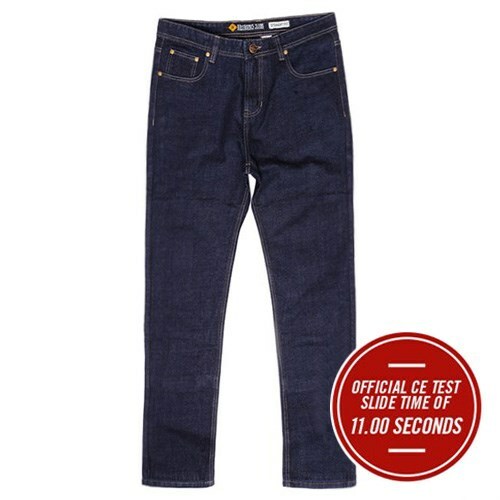 The Macans are not the lightest single-layer jeans on the market, and they’re not the most stylish perhaps, but they’re way nicer to wear than 99% of biking jeans out there, and they’re pretty outstanding value. 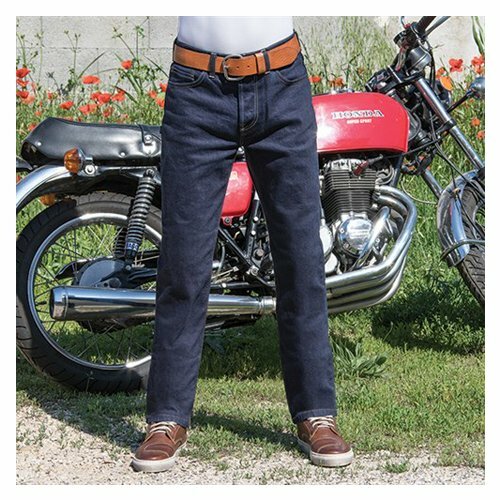 The jeans are woven with an aramid fibre. They have an even wash that is pleasing to the eye, and won’t offend anybody. They’re a little bit baggier and more relaxed than some. There’s a nice ladies’ version too. 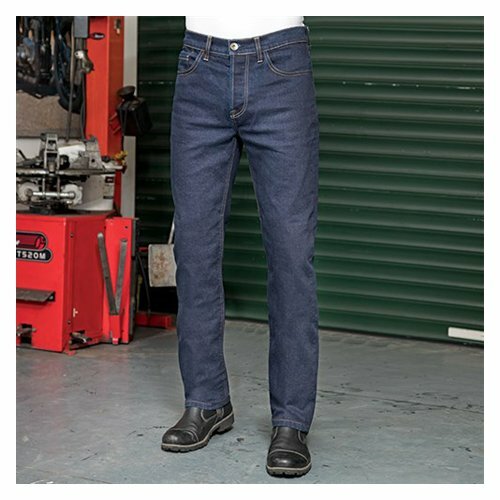 Most of the upper-end, single-layer jeans are nudging the £300 mark, and some are even more; but at £199.99 the Macans deliver single-layer technology for aramid-lined money. They come in two leg lengths, and the Level 2 armour is adjustable. As ever, if your come to see is in Guildford, we’ll fit the jeans and do any alterations for free. The only downside of the Macans is their ridiculously shallow pockets; they’re pretty useless. Halvarssons tell us they made them like this on purpose. We remain unconvinced. Anyway, all sizes are now in stock, after the factory sold out a month or so ago. You can read the review by clicking here. Or to buy, see below. 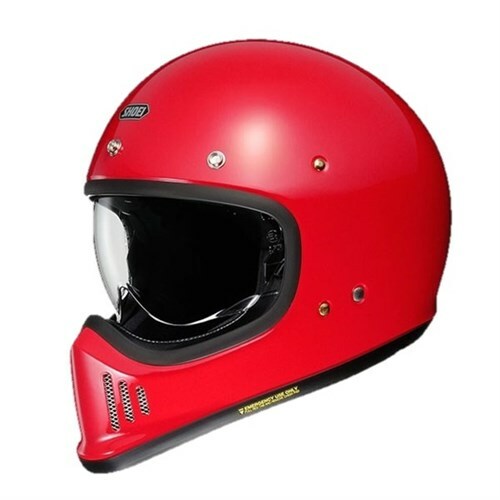 Earlier this week, there seemed to be a slight possibility that we’d receive Shoei’s new Ex-Zero into stock before the weekend. But it missed the cut. We will definitely have it next week, and I have near 100% confidence that you can come and see it next weekend. Best however to check first! Also due soon, and we hope this coming week, will be the new Resurgence, single-layer New Wave jean. Apparently, the first delivery has got stuck in customs. I’m imagining it’s got something to do with President Trump. Well probably. We’ll also be receiving a brand new summer glove from our friends at Stadler next week. 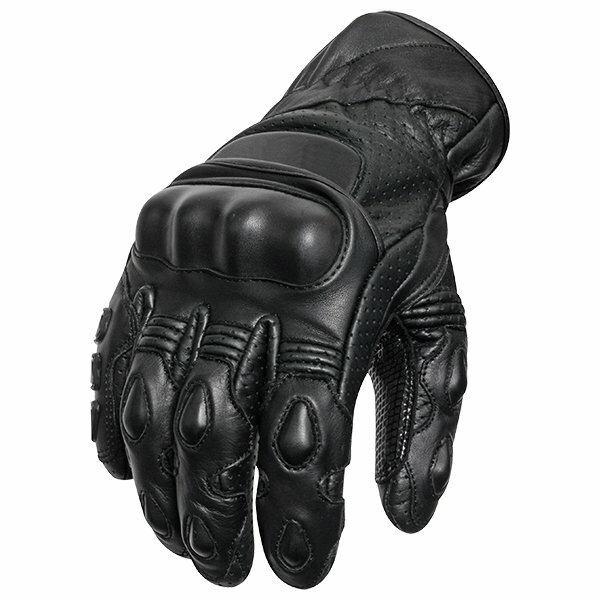 It’s a part-vented summer glove with an amazing spec. that includes a kangaroo palm and copious amounts of Superfabric. It’s quite a glove. 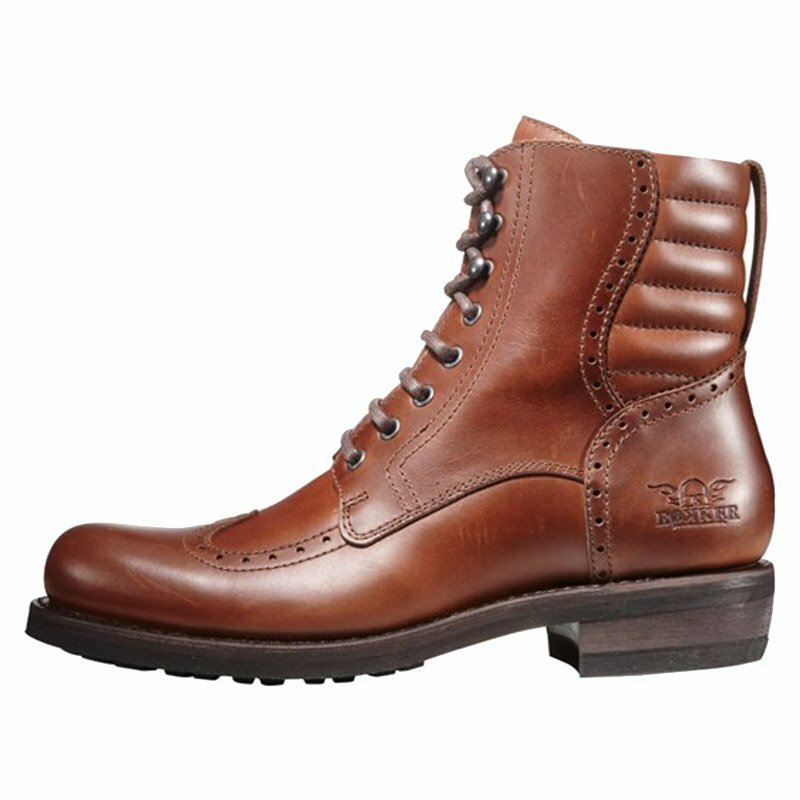 Finally, we’ll have a new tough boot from Rokker that combines the rugged credentials of the Urban Racer with styling that wouldn’t look out of place on a City trading floor. 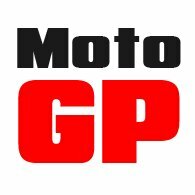 We’re well into the season, but there seems to be no let up in the amount of new products coming through. As ever, if there’s anything outstanding, you’ll hear about it from us first.